Throughout the NBA, talented players are often relegated to the bench despite possessing the talent of a starter. There are various reasons why this happens as it can better suit the team’s overall success by having them come off the bench as a reliable source of offense (Manu Ginobili with the San Antonio Spurs and James Harden with the Oklahoma City Thunder, for example). However, this doesn’t take away from the fact that these players are more than capable of being productive starters who could excel at a high level. With that in mind, these are three current players who don’t belong on the bench. Through the first three seasons of his NBA career, this 22-year-old has been a promising talent for the Atlanta Hawks despite primarily playing off the bench. In each of the last two years, Dennis Schroder has been productive, averaging at least 10.0 points and 4.0 assists. There are still some obvious holes in his game, such as his decision-making, porous outside shooting, and play on the defensive end. That said, Schroder is still averaging career highs in points (11.3), assists (4.6), and field-goal percentage (43.7) while playing just 20.5 minutes per game. He has scored in double-figures 38 times, including five 20-point outings. It’s obvious the talent is there and frankly that’s why many people projected a breakout year for him, but it hasn’t quite panned out in that fashion. As expected, Schroder is still backing up Jeff Teague and restricted under head coach Mike Budenholzer. In his six games as a starter this season, he averaged 13.7 points, 5.5 assists, and 3.8 rebounds while shooting 38.8% from the field and 33.3% from three-point range. His shooting struggles are evident but he shows that he can be productive in that spot. There are still plenty of growing pains ahead for Schroder, but being in the starting lineup could help expedite that. It’s important to keep in mind that there will be change on the horizon with the Hawks entering a critical offseason; Al Horford will become a free agent and Jeff Teague will enter the final year of his contract. 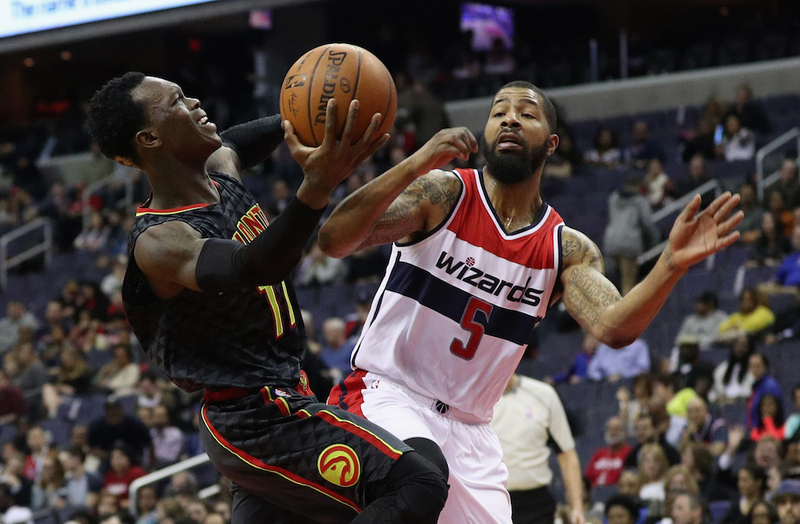 The bottom line is that Schroder has talent and potential that is worth taking a chance on as the full-time starter, and it could happen as soon as next season. Since being selected with the 13th overall pick in the 2014 NBA Draft by the Minnesota Timberwolves, Zach LaVine has shown flashes of promise. The former UCLA product has tremendous athleticism that’s been on full display twice in the Slam Dunk Contest. He is quickly becoming a viable scorer in the league when given the opportunity. LaVine has been a starter in various points of his brief career so far, but he has spent the majority of his time coming off the bench. He was on the receiving end of the bulk of starts in his rookie campaign with Ricky Rubio out due to injury, but since the Spaniard’s return to the court this season the 21-year-old has been put in a reserve role. What doesn’t help his case: The Timberwolves have begun to play rising star Andrew Wiggins more at shooting guard this year as he has made 43 starts at the spot compared to 27 at small forward. Although this is the current situation, LaVine is putting up even better numbers than his rookie campaign with increases in points (14.1), field goal percentage (45.4), and three-point percentage (38.6) despite making just 20 starts. This season, he’s tied for the Timberwolves’ second-highest individual scoring performance (35) and most made field goals in a single game (14); he has the team’s three highest three-pointers made in a single game; and he boasts the two highest minute totals in a single game. LaVine also scored in double-figures 34 times so far this season, including posting 10 games with 20-points and one 30-point outing. He shows an ability to be a willing passer, posting four games with 10-plus assists where he recorded a double-double in each of those contests (tied with Rubio with 18 games leading the team in assists). With that in mind, the Timberwolves seem to be coming around to the idea of making LaVine a full-time starter as he has been in the starting lineup in 16 of the last 18 games, including each of the last 13, while he’s averaging 18.1 points on 50.8% shooting over the last 26 games overall. During this span, he logged 40-plus minutes in four of the last 12 contests, averaging 38.6 minutes over that stretch. 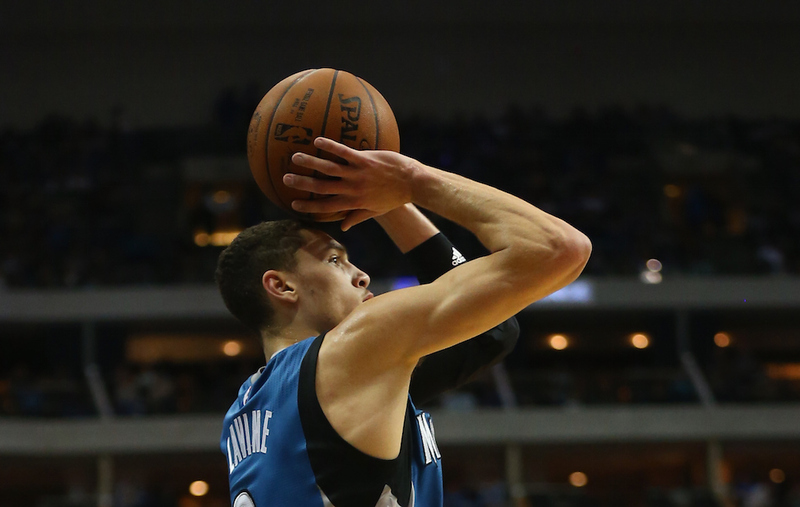 All in all, LaVine has a huge upside and is beyond capable of being a starter in the NBA. He is a promising talent who could be a major part of Minnesota’s bright future as he continues to play alongside Wiggins and Karl-Anthony Towns. In practically any other situation, the 32-year-old would be in the starting lineup due to what he brings to the game as an all-around player. Andre Iguodala was a full-time starter in his first season with the Golden State Warriors, but since Steve Kerr took over as the head coach, he has been moved to the bench. Iguodala brings a steady hand to the second unit because of his unique skill set. However, he is an extremely talented player who should be a starter. He has never been the type of player who will light up scoreboard on the consistent basis, but rather he is one who does a little bit of everything, which can be a much more valuable asset to the team. A prime example: Last year’s NBA Finals against the Cleveland Cavaliers when Kerr made the decision to reinsert him in the starting lineup in Game 4, making a tremendous difference in the series. Iguodala proved to be a strong scoring option and helped make it harder for LeBron James to be an effective scorer. In the series, he averaged 16.3 points, 4.0 assists, and 5.8 rebounds. When he was on the court, James only made 38.1% of his shots compared to 44% without Iguodala. 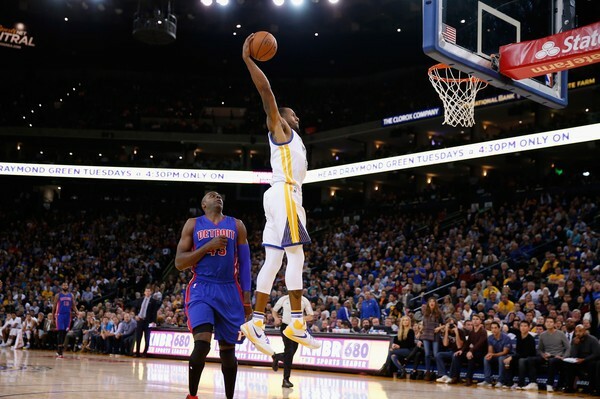 Although Iguodala’s athleticism may be declining, he’s still worth being a starter because of the overall impact he has on the game.